Hip-hop boy band BTS has released its highly anticipated second mini-album “Skool Luv Affair.” For the Japanese fans, CD will drop tomorrow on February 14. 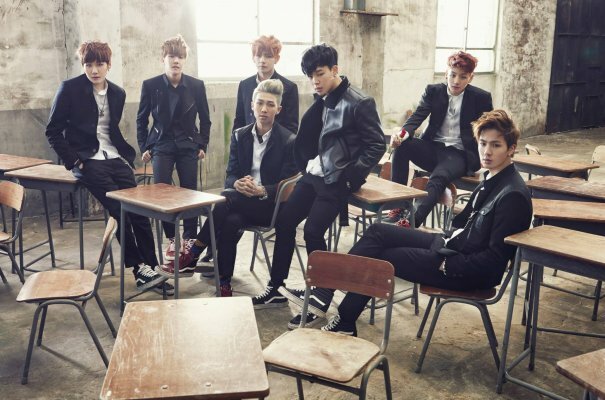 Along with the album, the group revealed a music video “Boy In Luv.” Hard-hitting song “Boy In Luv” composed by SUGA, Rap Monster, the producer Pdogg, and the composer, producer ‘Hitman’ Bang. In the day of release “Skool Luv Affair”, the boy band won “New Artist of the Year” as a ‘Male band’ at 3rd Gaon Chart K-Pop Awards. Continuing the promotion, BTS will appear at M!Countdown (Feb. 13), Music Bank (Feb.14), Show! Music Core (Feb.15), and Inkigayo (Feb. 16).